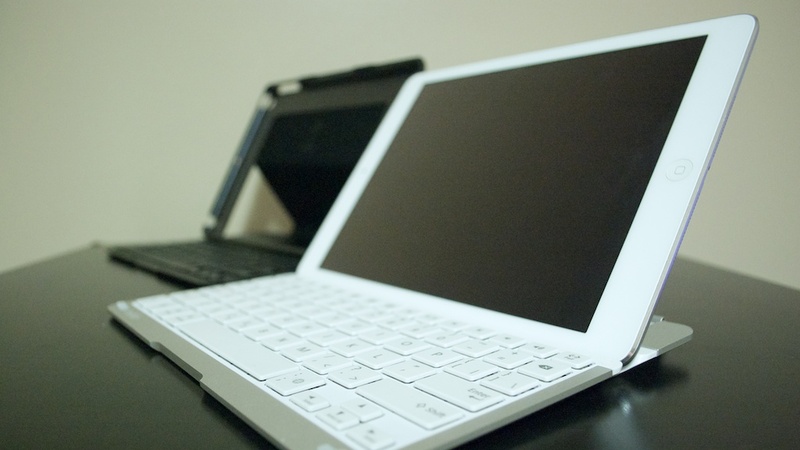 Belkin was kind enough to send over two of their QODE (pronounced “code”) Bluetooth keyboards for review: the QODE Ultimate and QODE Thin Type. To be honest, the Thin Type is the keyboard I was initially looking forward to, but the QODE Ultimate turned out to be a pleasant surprise, with its clever use of magnets and all-in-one design. The keyboards on each product are almost identical, with the exception of the combined function and number keys on the QODE Ultimate. The action on the keys is shallow, but there’s a satisfying thud that accompanies each keystroke that preserves the connection to the typing experience. The keys aren’t too clicky or noisy either, so you won’t be annoying any neighbours at Starbucks. The only thing I really don’t like is how the colon key was moved to the right of the spacebar. It’s something I can get used to, but even two weeks in, it still feels awkward.